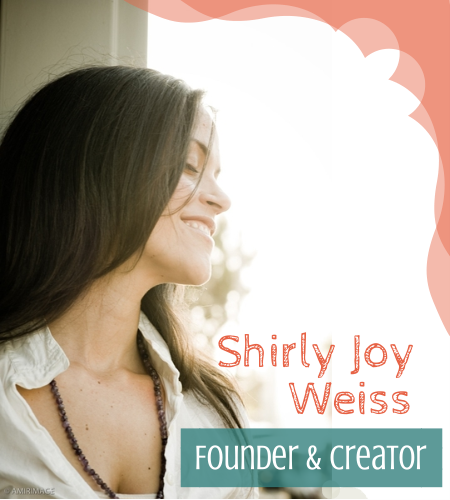 Shirly Weiss, an expert in holistic health and spiritual developmental psychology, has dedicated her life to the expansion of consciousness and well-being in her community and specifically to providing comprehensive inside-out support for the women and leaders here to uplift our planet alongside her. She has been an international spiritual counselor, teacher and performance coach to aspiring change-makers, coaches, celebrities and purpose-driven women for over 15 years. In her extensive studies in psychology, consciousness and energy, she discovered powerful methods to help clients get unstuck, release tenacious blindspots and doubt and discover their value in a direct, embodied way that unleashes the innate clarity, confidence and courage we all ALREADY have inside. It is through this that we finally leap into and experience the joyful life of purpose, meaning and fulfillment we feel meant for. Having moved herself from debilitating insecurity to experiencing the peace, confidence and contentment that emerges when our true radiant Self leads, she guides her clients to know the unshakable Presence within so that they not only feel unstoppable willingness, clarity and confidence on their path, they model the new paradigm leader who naturally expresses the inexhaustible energy, vision, love and faith of our true Self. Beyond business strategy and mindset, this is how the spiritual leader in you comes to life and truly succeeds. Shirly is also Bilingual/Bicultural in Spanish/English.